DermaRain is an extra mild body wash skin cleanser and shampoo. 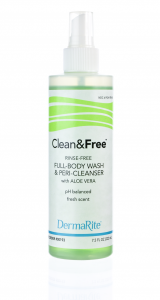 Cleans and moisturizes sensitive skin without irritation. Dye free.